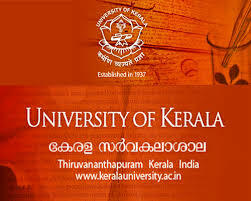 Online applications are invited from eligible candidates to the Entrance Examination for admission to M.Phil Degree Course of one year duration at University Teaching and Research Departments and University College, Thiruvananthapuram for the academic year 2015-16. Candidates seeking admissions to the course should have passed the qualifying examination at the time of submitting applications. The minimum qualification for admission to the course is a Second Class Master’s Degree in the concerned subject, with not less than 55% marks, subject to the usual rules of relaxation for SC/ST students (Candidates should have passed the qualifying examination after 10+2+3 pattern of study). Rank List will be prepared reckoning the marks scored in the Entrance Examination and in the qualifying Examination in the ratio of 50:50. Hello Sir I my CGBSE 10th examinations are near. Can you please tell me about the expected release date of CGBSE 10th Time Table . Thanks.